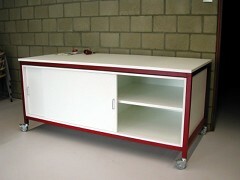 Edutec can also supply furniture for your class room. We have a wide range of tables, wardrobes, measuring tables, workbenches, chairs, etc. We can also supply custom build furniture, for example tables for the Van der Perk practicum including storage possibilities. 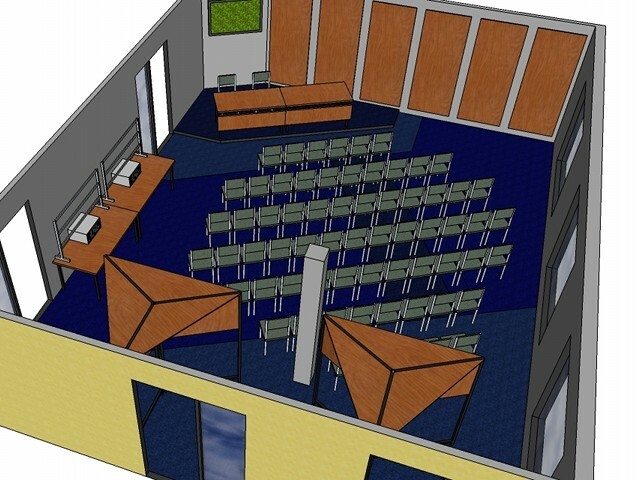 We can also make an 3D drawing of your class room to see how the future class room will look like. 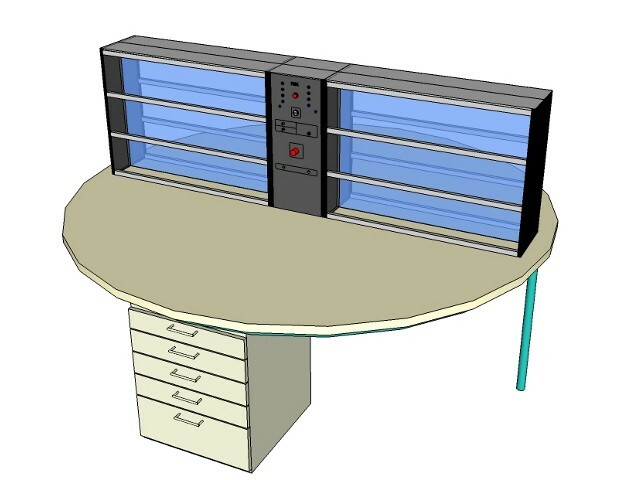 Here you see an design for Van der Perk practical training system. The table is round and has see-through parts in the experimenter racks. 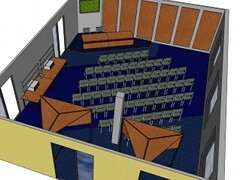 Edutec can make 3D designs of furniture and complete class rooms. Another example is a custom build demo table with build-in storage. The table is mobile and can be used on different places in the class room.